How's the steep January hill going? Don’t worry, we're halfway there! 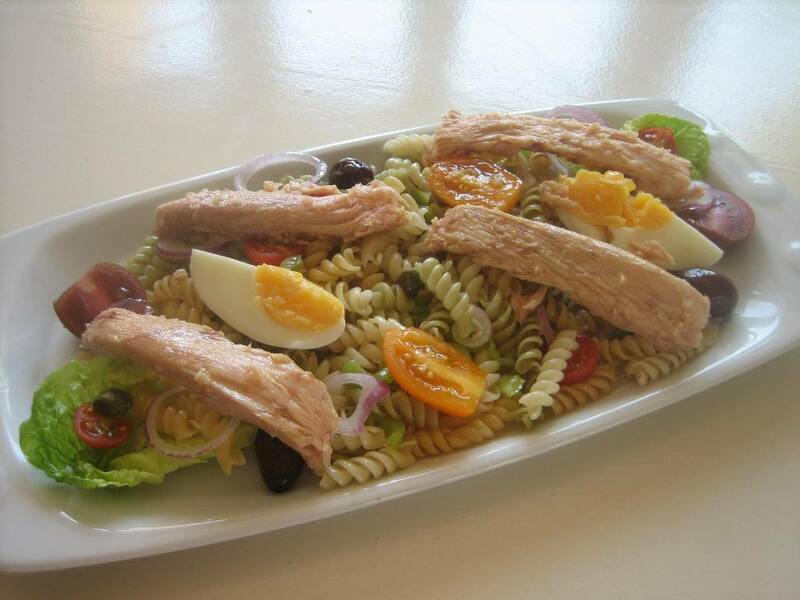 Also, this pasta and White Tuna neck salad will give you energy and happiness in equal measures, so no hill will be too steep. Delicious and easy to prepare. What more can you ask for? Take note of this recipe by Margarita (Entre amigos) and bon appétit! Boil the pasta in abundant water and salt, according to the manufacturer’s instructions (respect the cooking time so that they cook perfectly al dente). 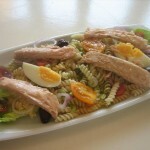 Once cooked, rinse the pasta well and add the following ingredients in a salad bowl: the pasta, the lettuce, the tomatoes, the pepper, the onion, the olives and the capers. Season to taste with olive oil, vinegar and salt. Finish it by arranging the sliced hard-boiled egg and the White Tuna neck on top. Wholesome and delicious, thanks Margarita!